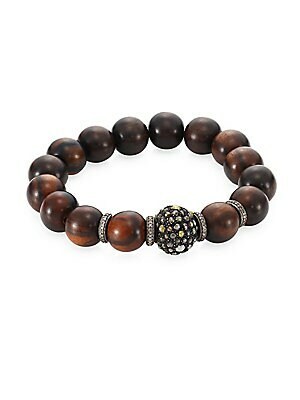 Agate diamond beaded bracelet with feature pave diamond link Diamonds, 2.87 tcw Rhodium-plated sterling silver Wood Diameter, about 2.25" Slip-on stretch style Imported. Fine Jewelry - Fine Designer Jewelry C. Bavna. 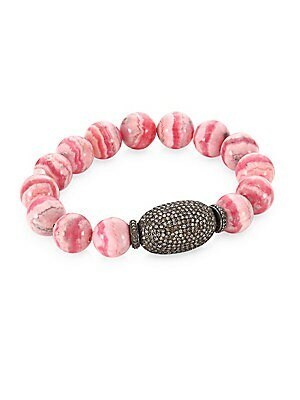 Agate diamond beaded bracelet with feature pave diamond link Diamonds, 4.22' Rhodium-plated sterling silver Pink agate beads Diameter, 2.25" Slip-on stretch style Imported. Fine Jewelry - Fine Designer Jewelry C. Bavna. 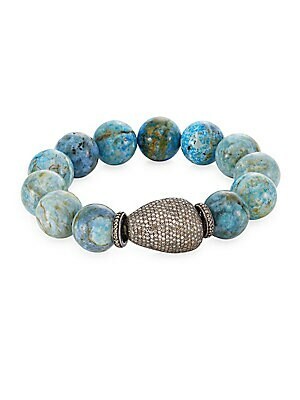 Agate diamond beaded bracelet with feature pave diamond link Diamonds, 4.64" Rhodium plated sterling silver Agate beads Diameter, 2.25" Slip-on stretch style Imported. Fine Jewelry - Fine Designer Jewelry C. Bavna. 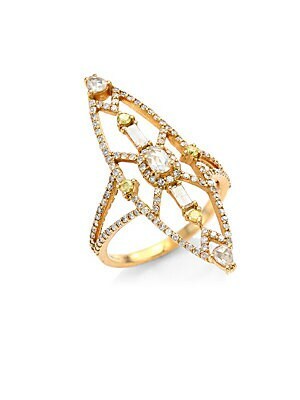 Art-deco inspired ring with dramatic mixed stones Diamonds, 1.02 tcw 18K rose gold Length, 1.4 Width, 0.4 Imported. 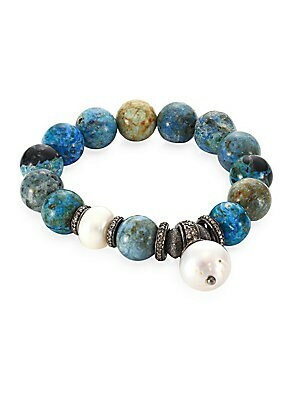 Fine Jewelry - Fine Designer Jewelry C. Bavna. Color: Yellow Gold. Size: 7. A slim bangle in 18K rose gold set with diamonds and fire opals Mexican fire opals, 1.97 tcw Diamonds, 1.02 tcw 18K rose gold Diameter, 2.5" Box tongue close with safety Imported. Fine Jewelry - Fine Designer Jewelry C. Bavna. Color: Rose Gold. 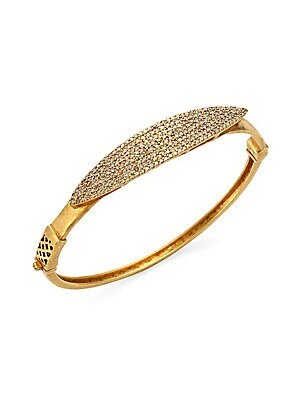 Brilliant pavé accents a burnished gold bangle Diamonds, 1.72 tcw 18K yellow gold Diameter, 2.4 Box and tongue clasp Imported. Fine Jewelry - Fine Designer Jewelry C. Bavna. Color: Yellow Gold. 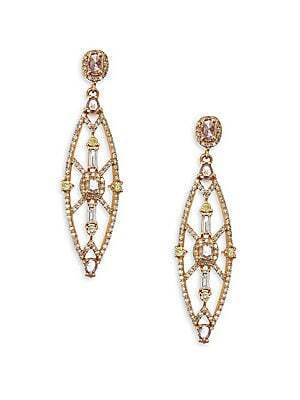 Colored diamonds shine in art deco-inspired shape Diamonds, 1.86 tcw 18K rose gold Post back Length, about 1.5 Imported. Fine Jewelry - Fine Designer Jewelry C. Bavna. Color: Rose Gold. 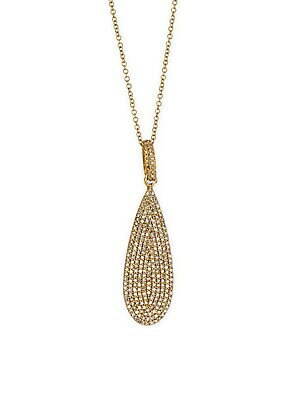 Dazzling diamond pavé covers luxe teardrop pendant Diamonds, 1.69 tcw 18K yellow gold Length, 16 Lobster clasp closure Imported. Fine Jewelry - Fine Designer Jewelry C. Bavna. Color: Yellow Gold. 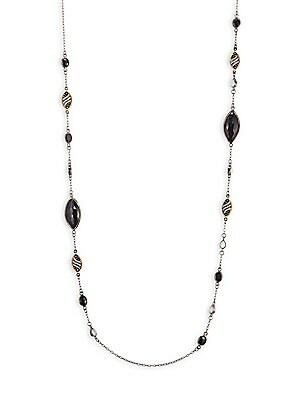 Delicate long chain links beautiful stones Diamonds, 2.84 tcw Black spinel, 32.45 tcw 18K yellow gold Rhodium Sterling silver Length, about 42 Lobster clasp Imported. Fine Jewelry - Fine Designer Jewelry C. Bavna.